Why do we ship so Fast? Cellfood� is the world's leading high-performance oxygen and hydrogen based consumer health product. For over 40 years, Cellfood� has safely provided nutritional benefits, without toxicity. The mastermind and inventor behind Cellfood is Everett Lafayette Storey, who worked on the American "Manhattan Project". Albert Einstein called him a "Genius" and credited him with the "water splitting technology" which lead to the development of the hydrogen bomb. 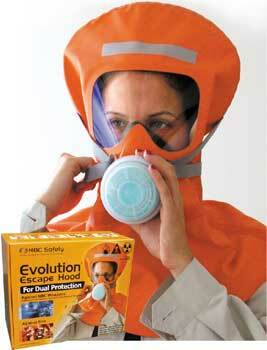 Because of exposure to extreme radiation, the people on the project began to die. Everett Storey himself was affected and, by the early 1950s, he had lost 30 kg in weight. So in the process of trying to save his own life Storey invented a deuterium-based product, which he called "Cell Food" or "Liquid Life" in 1956. It kept him alive for almost another 30 years even after exposure to high levels of radiation. Everett Storey spent most of his life researching Cellfood's incredible health benefits. He died in 1984. Cellfood� Ingredients: contains "Aerobic" proteins, 17 amino acids, 34 enzymes, 78 major and trace elements, deuterons, electrolytes, and dissolved oxygen. Cellfood provides an unsurpassed oxygen and nutrient delivery system, and is absorbed quickly and efficiently by every cell in the body. Cellfood's unique structure oxygenates and feeds the cells, cleaning and tuning up the body's systems throughout the day. Cellfood is made from all-natural plant substances, and is yeast-free and gluten-free. 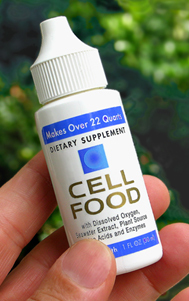 Cellfood's unique formulation comes in an easy to use one ounce bottle and lasts approximately 30 days at the recommended dose of 8 drops three times a day. Cellfood� works well in concert with Microwater, the best water to drink. 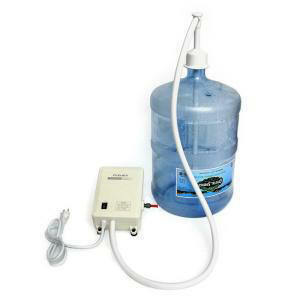 But even if all you have is tap water, Cellfood will purify the water and energize it for optimum benefit. �.....the most important task we have is to reduce our neuro resistance and increase the speed (velocity) with which these nerve impulses tell our bodies what to do. The best way to accomplish this is to increase our trace minerals and electrolytes. 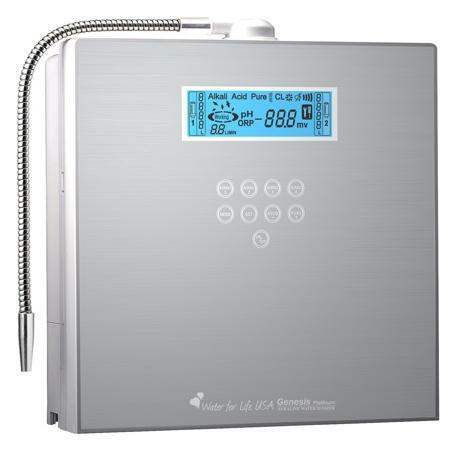 Here is the result of a recent electrical conductivity test comparing a group of mineral/electrolyte products; the goal was to activate a 50cc reverse osmosis water activated circuit. OFL Oxygen Solution - 163 drops activated the circuit. A well-known test showing the ability of a substance to retard the growth of tested pathogens. 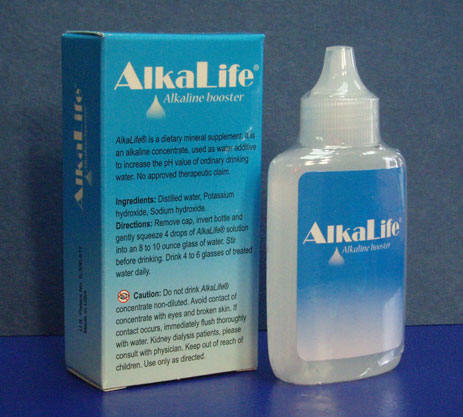 Tests for a product's ability to kill organisms in drinking water. Demonstrates the effectiveness of a substance� when used as a preservative or additive-- to stop the growth of pathogens. Tests for the amount of dissolved oxygen in water, and can demonstrate an increase in oxygen over time. A test that demonstrates a substance's ability to conduct electrical impulses. A series of double blind placebo clinical tests on professional and amateur athletes, measuring several indicators of blood health. Summary also available. A laboratory study on the effect of Cellfood on the surface tension of water, indicating a shift toward the same surface tension as extracellular body fluids. Clinical Observations on the nutritional efficacy of Cellfood utilizing Live Blood Analysis and Dry Blood Analysis microscopic evaluation procedures. A study to determine the colloidal nature or behavior of Cellfood; an analysis of the extent to which Cellfood functions in a manner similar to, and compatible with, body fluids. A study to test the hypothesis that Cellfood is able to reduce oxidative stress in vivo due to its intrinsic antioxidant properties in vitro. A study entitled "Efficacy of Cellfood in Patients Diagnosed with Fibromyalgia' done at the University of Siena, Italy. A pre-study trial measuring the effects of Cellfood on patients with asthma. CELLFOOD Boosts Immune System - Apart from assisting with the cleansing of cells, CELLFOOD raises the frequences of all organs, making them more resistant to the lower frequencies of viruses, bacteria, parasites, etc. When the "water splitting phenomenon" takes place. 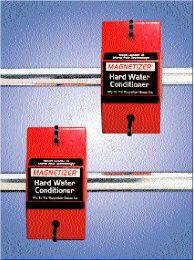 the nascent hydrogen atoms contain enormous supplies of positively-charged electromagnetic energy. 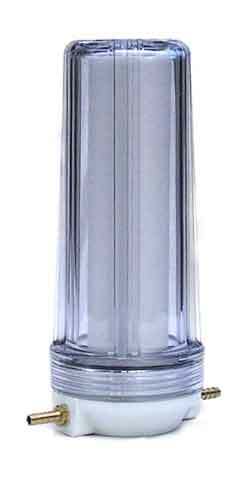 As mentioned above one drop of CELLFOOD produces 77,000 angstroms of energy. 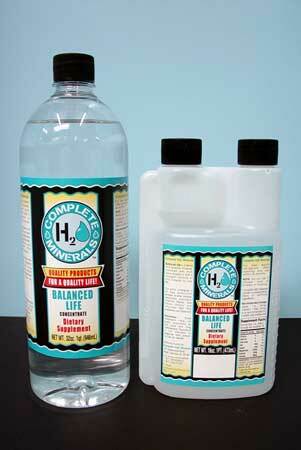 The body is encharged by this hydrogen. In 1991 Dr. Artisto Vojdani, Vice-President of Immunosciences Laboratories Incorporated U.S.A. reported, "significant increases in T-cells with increasing dosages of Cellfood�" This means that as the immune system is being progressively boosted, it makes the body more capable of dealing with micro-organisms that could be detrimental to one's health. Please note that Cellfood� itself is not directly combating disease. The body has been magnificantly designed by our Creator to do that. Cellfood� is amazing because it provides the body with the essential building blocks that it needs to effectively perform its required and normal functions. 1. How important is oxygen to a healthy body? Many experts conclude that the lack of oxygen in human cells and tissue is linked to a vast variety of (and possibly all) health problems and disease, and that supplemental oxygen therapies (including Cellfood� have remarkable physiological benefits. 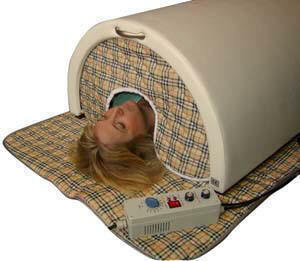 A diversity of beneficial oxygen therapies are being utilized today. 2. What is oxygen therapy? Oxygen therapy is any supplemental process that safely increases the available dissolved oxygen content in the body. 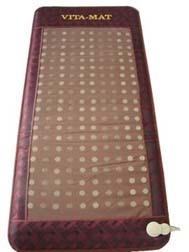 Therapies may also include processes that enhance the body's ability to use or promote oxygen absorption. Most treatments are generally expensive and should be administered or supervised by a licensed medical professional. 3. Does Cellfood have to be administered by a doctor? Cellfood� is the only safe, self-administered, oxygen therapy treatment not requiring a medical prescription, that provides bioavailable oxygen at the cellular level. This advanced technology is the answer to oxygen deficiency. 4. Is Cellfood a medicine? No, CellFood is a non-toxic nutritional supplement. We make no medical claims for the treatment, prevention, cure or mitigation of disease. However because it is a nutritional supplement it works with the bodies properties, and starts working where it is most needed. Therefore because everyone is unique, we cannot prove that Cellfood does any specific thing. We can however tell people about other people's experiences, and there are hundreds of thousands testimonials worldwide. 5. How often should I take CellFood? Take CellFood as often as you feel that you need it. Listen to your body, and take it when you sense that you need to. Most people take Cellfood once a day first thing in the morning. When feeling run down or stressed, take it twice or three times a day. If you have to do some strenuous work or sport; or have to stay up late at night to work, or drive somewhere, or entertain guests, etc., take an extra does of Cellfood just beforehand to give you additional stamina. 6. How much Cellfood should I take? That depends on your needs. As mentioned above each person has unique needs, and because CellFood is a nutritional supplement, everyone responds to it in a unique manner. Most people take about 12 drops first thing every morning. Start by taking 8 drops in the morning. If you respond initially detoxifying, then either reduce or increase the dosage, depending on how comfortable you feel with the response you are experiencing. If you take fewer drops, the process of detoxification will slow down. If you take more drops, the process will accelerate. If you experience no difference when taking 8 drops per day, then increase the dosage to 10, 12, 15, 20 drops, until you experience a noticeable response. 7. Can someone overdose on Cellfood? No, CellFood is a nutritional supplement made from natural substances. The body only uses what it needs, and eliminates the rest through the normal channels of elimination. 8. What happens if I get no results? Sometimes a person is unaware of the "work" that Cellfood is facilitating at deep cellular levels, where there is a priority in the body. 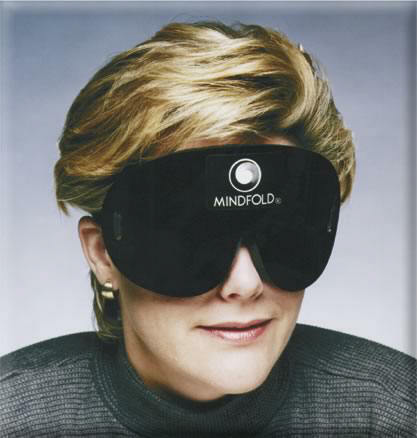 Because you may not be consciously aware of what is happening, you may think that Cellfood is not working for you. People, who at first reported "no results" from taking Cellfood later, after having undergone regular medical check-ups, reported that their cholestterol and blood sugar levels had dropped significantly. There are similar accounts regarding the normalization of uric acid and blood sugar levels. Another case where Cellfood has worked at deep cellular levels has been the improving of the immune system, without the user of Cellfood being aware of the process. Because Cellfood works in a natural way at normalizing and balancing the body, we must encourage users to continue taking Cellfood and become more "turned in" to the less noticeable but more significant changes in their in bodies. A sure way of becoming aware of what Cellfood is achieving is demonstrated when one examines the comparative results of medical check-ups before and after taking Cellfood. This gives clear evidence that Cellfood has been normalizing and balancing all bodily systems, and facilitating renewal at deep cellular levels. 9. 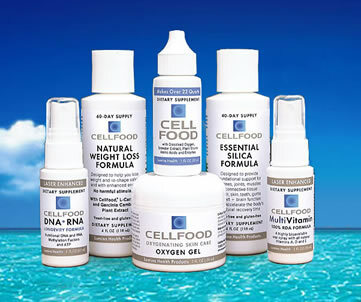 How is CellFood different from other oxygen products? 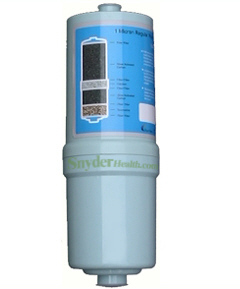 Many oxygen products tend to flood the body with oxygen, often creating harmful oxygen free radicals. "The release of these reactive oxygen species results in oxidative injury to biologic systems such as lipids found in cell membranes, and proteins found in blood vessels and myocardial tissues" (Professors Ashim Ghatak and Mahesh Chandra: Complementary Medicine, Page 13, Volume 4, Number 1 1998). Cellfood is totally different, because it scavenges and bonds with dabgerous oxygen free radicals, supplying the body with usable oxygen in a controlled and time-released manner, at cellular level, only where it is needed. Cellfood therefore in no way creates free radicals. It causes free radical single atoms of oxygen to be neutralized. 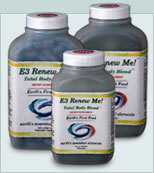 Cellfood also employs enzyme catalase, another defense mechanism against free radicals. "Catalase breaks down hydrogen peroxide, a metabolic waste product in the body, and liberates oxygen for the body to use" (James F Balch, M.D. & Phyllis A. Balch, C.N.C. Prescription for Nutritional Healing, Page 47, 1997). If people use other oxygen products, such as ozone and stabilized oxygenated water, they should use antioxidants (such as Cellfood and Microwater) to minimize the free radicals that can be caused by the flooding effect of too much oxygen too quickly in the body. 10. What if I am already taking medicine? Always consult your health care professional before changing any health regimen. However, the most important consideration is that Cellfood increases the bioavailability of these other substances enabling the body to more effectively use them. 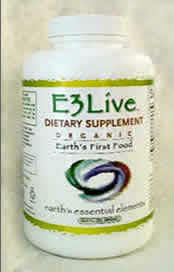 Therefore when used in conjunction with other nutritional supplements or medicines it improves there absorption. As Cellfood provides the body with what it needs to correct problems on a cellular level, you/healthcare advisor may consider gradually decreasing your medication. 11. What is the shelf life of Cellfood? The shelf life of Cellfood is almost indefinite. Sample batches from 25 years ago have been tested and have actually improved with time (similar to fine wines). 12. Does Cellfood contain oxygen? 13. Can Cellfood be used to purify water? Yes. Cellfood can be used to purify water that you are somewhat uncertain about (such as from a river or stream). Simply add 5-10 drops of Cellfood to 1 pint of water. It will even take the "smell" out of the water and improve the taste. In earthquake areas (such as CA) Cellfood should be kept available to make sure that stored water that is kept around for several months can be purified. (Note: It is suggested that Cellfood not be added until ready to use). Cellfood in independent lab reports has been shown to be able to kill pathogen organisms effectively. 14. How is Cellfood used Topically? Mix Cellfood with at least 20 parts of water and use this solution for soaking or dabbing onto the cut, burn or affected area. (Company owners use a small amount of Cellfood in a spa and have experienced tremendous results with softening skin and other side benefits as well as keeping the spa water clean and clear). 15. What is the function of Trace Elements in Cellfood? Trace elements are needed as cofactors for specific enzymes and for a wide variety of other critical functions such as acid-base balance. Each enzyme is specific in that it will catalyze only one type of reaction. There are thousands of chemical reactions that take place within the body, and therefore we have thousands of enzymes, each with its own shape and active site. The ability of enzymes to function may be limited or destroyed by changes in the intracellular or extracellular fluids in which they are found. Changes in blood pH and temperature are especially crucial for enzymatic functions. Acid-base balance must be maintained in order for enzymatic reactions to proceed normally. Cellfood helps maintain this balance. 16. What is the function of the Amino Acids contained in Cellfood? There are approximately 80 amino acids which are found in nature: only 20 are necessary for human metabolism and growth; the ones that must be provided by supplementation are called essential. Amino acids are necessary for protein metabolism and muscle energy (ATP). Cellfood supplies these needed Amino Acids.